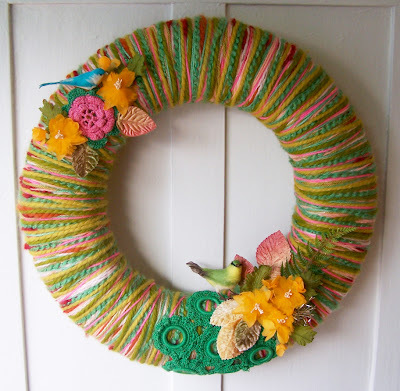 I'll be adding new spring yarn wreaths to my shop over the next few days! Thank you to Kari Ramstrom aka ArtsyMama for her purchase of the one below (bottom). 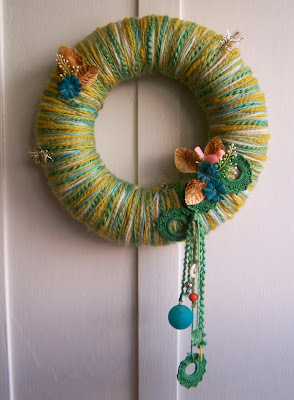 If you haven't visited her lovely and spirited blog-your are in for some serious arts and crafts eye candy!